Tilt Turn Windows are contemporary style double glazed window which have a secure ventilation system. 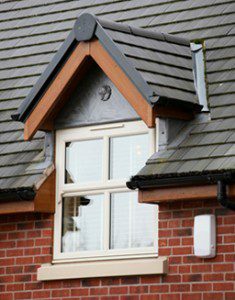 UPVC Tilt Turn Windows are made from extremely durable uPVC which are designed to fit almost any height and width required. 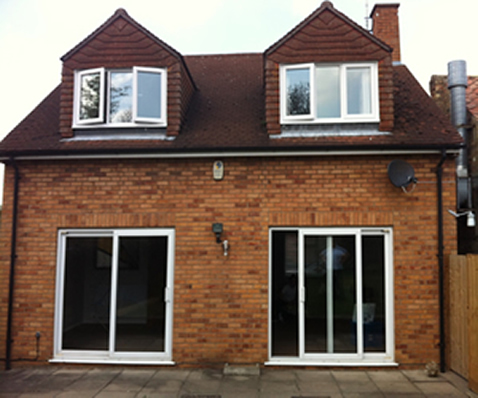 These uPVC tilt and turn windows have enhanced weather and sound proofing due to our superior gaskets. The tilt and turn windows allow you to open your window inwards, while maintaining a secure unobstructed ventilated window. The tilt and turn windows are also extremely easy to clean as the window can fully open inwards. The tilt and turn windows are extremely easy to operate due to their dual-action movement. All you need to do is twist the handle if you need to open for ventilation and turn the hand again which allows the window to swing inwards on the hinges. 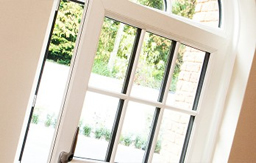 The tilt and turn windows are ideal for buildings with limited access, offering maximum ventilation, safety and security providing ease of admittance so your windows can be safely cleaned from inside your home or office. Due to the large glass surface window area, the tilt and turn windows enhance the natural light into your home, capturing and reflecting all available sunlight into the room. Tilt & Turn windows provide a clean crisp look, they are virtually maintenance free, ideal look for any contemporary home.